In early June 2015 the Federal Government released the Board of Taxation’s report on tax arrangements applying to collective investment vehicles in Australia (Board). If the Board’s recommendations are accepted it will fundamentally change the funds management industry in Australia. In short, the Board’s report recommends the breaking of the near monopoly of the role of the unit trust over collective investment vehicles in Australia. Earlier information received by the Board clearly highlighted that offshore investors are dissuaded from investing in Australian funds because, at its core, they do not understand unit trusts, and if there was a greater range of collective investment vehicles available then the Australian fund management industry would be able to better compete with offshore fund managers. This is a position that has been further supported in the interim report of the Murray Inquiry. To increase the industry’s competitiveness the Board recommends offering additional collective investment vehicles the same tax neutrality as unit trusts, if they exhibit certain collective investment vehicle (CIV) characteristics. In this regard the Board’s report referred to the experiences of Ireland and Luxembourg and the development of 3 additional vehicles be given CIV status in Australia. To be modelled on the Luxembourg SICAV (i.e. an investment company with variable capital). As with open-ended collective investment schemes, the investor is in principle entitled at all times to request the redemption of their units and payment of the redemption amount in cash. CIVs established as companies will need flexibility to allow investors to withdraw their investments, requiring amendments to the Corporations Act 2001 (Cth) restrictions on redeeming and buying back shares and reducing share capital. A partnership managed by a general partner (which has unlimited liability for partnership debts), with passive limited partners (whose liability is limited to their investment in, and commitment to, the partnership). A common private equity fund structure outside Australia; within Australia its use is generally limited to venture capital funds to take advantage of favourable tax treatment limited to those funds. Commonly used in Ireland as a collective investment undertaking, under which investors participate and share in the assets of the undertaking as co-owners by contractual arrangement. The CCF is an unincorporated body, not a separate legal entity. As a result, investors in a CCF are treated as if they directly own a proportionate share of the underlying investments of the CCF, rather than shares or units in an entity which itself owns the underlying investments. The Irish CCF is established by a management company that is vested with powers for the management of the property of the fund. A CCF will also generally have a custodian in which the property of the CCF is entrusted. Investors in a CCF have their liability limited to the amount of their investments. The Board did not propose any change to Australia’s existing CIVs, including listed investment companies, managed investment trusts or venture capital limited partnerships/early stage venture capital limited partnerships – or to their tax treatment. When would the proposed additional vehicles enjoy CIV-status? Finally, it is an Australian resident and, if it is to have access to the concessional withholding tax rate on fund payments presently available to managed investment trusts, it should have a significant connection with Australia. Corporate CIVs to have the option to elect deemed CGT treatment, similar to that for managed investment trusts. Limited partnership CIVs to have an option to elect deemed CGT treatment similar to that introduced into the managed investment trust regime. CCF CIVs to have the option to elect the CGT treatment for its eligible investments. It has taken a long time to get to this point so it would be a brave person who would suggest that these changes would be introduced in the near short term. Treasury is currently consulting with various parties. However, these changes are an important complement to the Asia region funds passport arrangements.  One Investment Group is anticipating further changes to the CIV regime in the future. We intend to monitor the progress of the current and future changes as they affect our clients and the broader industry. For all questions concerning foreign investment into Australia and the CIV regime please contact Justin Epstein on +612 8277 0000.